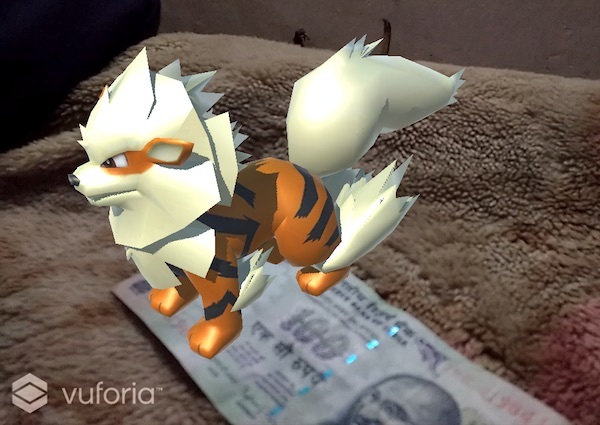 Augmented Reality Android app that overlays Pokemons on different Indian currency notes. In November 2016, Indian Prime Minister Hob'ble Narendra Modi demonetized the 500 and 1000 rupee Indian notes which amounted to 86% of the net circulation to introduce a new 2000 rupee note and a new 500 rupee note to counter the illegal Black Money in the country. This decision had a mixed response. Soon rumours started to float mentioning that the 2000 rupee note probably has a GPS chip in it that lets satellites track the note. People seemed curiously excited about it and looked forward to the new note. However, it was soon discovered that the news was a hoax. This watered enthusiasm coupled with the growing problems of not being able to exchange this large amount of money garnered lot of pessimism from the naysayers. Some termed the 2000 note 'Schrodinger's Money' for how it is as good as nothing because nobody wants to take it. 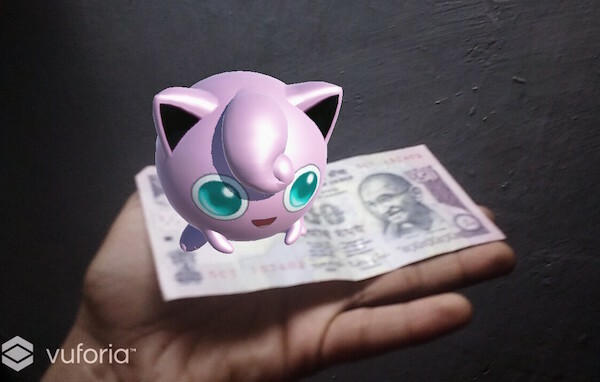 I built the Rupaiyya App to lower down some of this negativity and let people, especially youngsters have fun with the new notes. I did piggyback on the Pokemon Go fandom but it seemed to have worked for good. 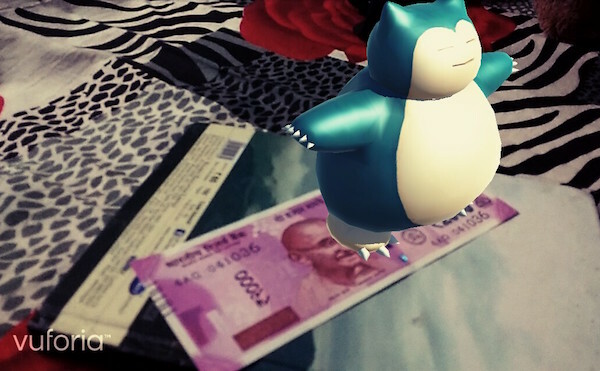 The bulky Snorlax on the 2000 Rupee Note complements its huge value, and maybe sloth-like nature. The Android app is built with Unity and Vuforia. It works for all legal Indian currency tenders as of December 2016. 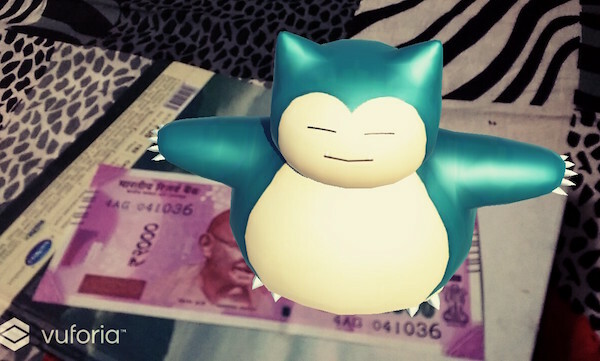 The Pokemon appears to be present in 3D on the note on changing the angle of viewing. 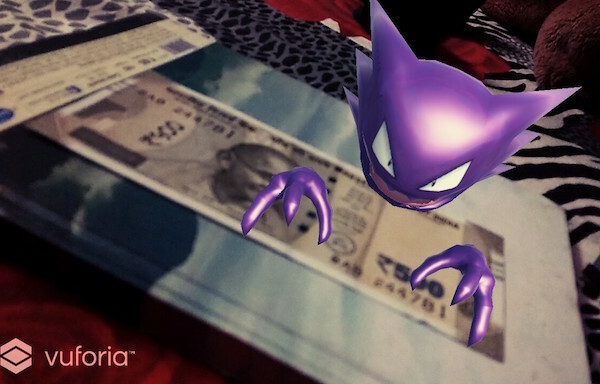 Haunter goes with the rather mysterious nature of the new 500 rupee note. 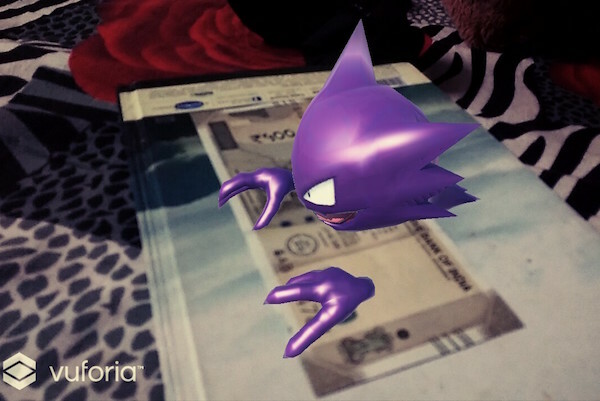 Because of its limited circulation, it has been rarely spotted, much like the ghost Pokemon. 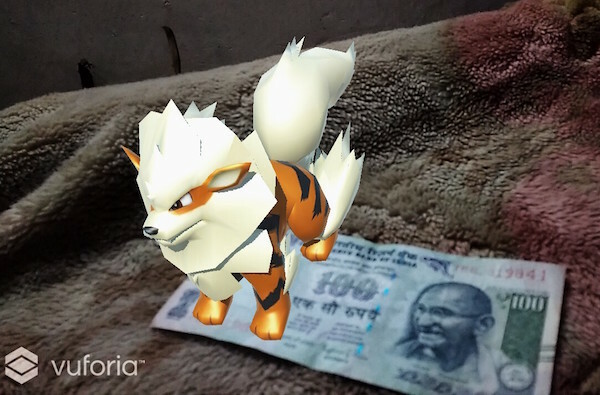 This makes the 100 rupee note most famous and widely used, like the likable Arcanine. There doesn't seem to be a problem with the model extending beyond the note boundaries. 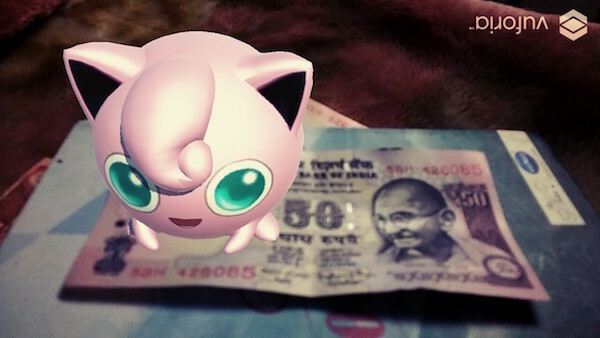 I compare the 50 rupee note with Jigglypuff - innocent and docile. But to be honest, it was the complementary pink shades that make this pair a nice fit. 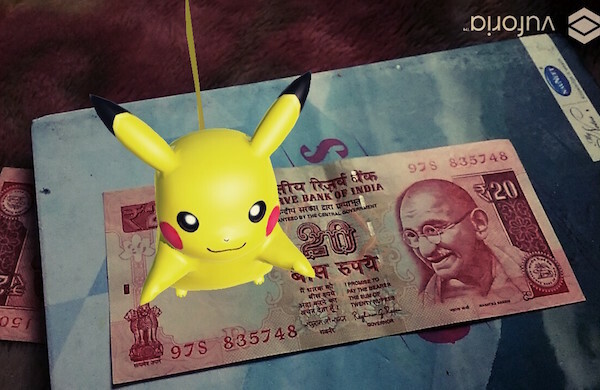 With no 100 rupee or 50 rupee note for the banks to pay, 20 rupee notes are the new stars - like Pikachu. 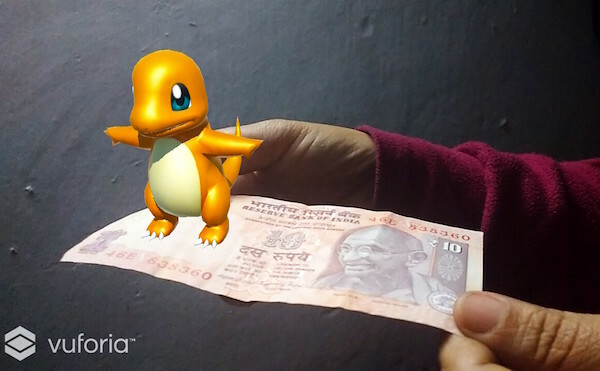 And ofcourse the 10 rupee note is everybody's starter Pokemon - like the dear Charmander held by my dear mom. The app isn't really serving a 'functional use' as such, much to the dissapointment of some of my friends who wondered if the app helped spot fake money. But then I think tech needs to be a fun mode of expression for people if it wishes to be embraced. Such applications make seem tech more approachable and less of magic done by geeks. There exists a need for friendlier applications of tech, even if they seem redundant.